Broadway Legend Barbara Cook Dies At Age 89 - Joe.My.God. 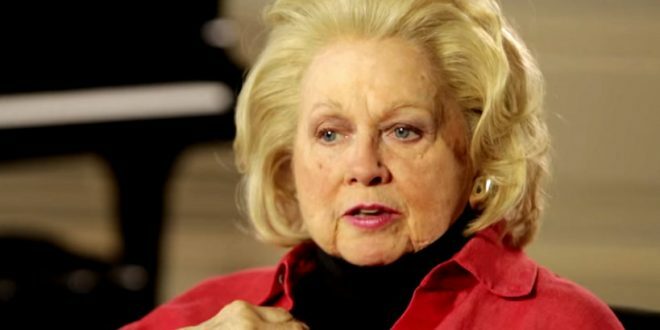 Barbara Cook, the golden-age Broadway ingenue who became a beloved cabaret and concert performer in the second act of her career, has died. She was 89. Her son, Adam LeGrant, confirmed to Variety that she died early Tuesday morning at her home in Manhattan, surrounded by friends and family. In later years, she was hailed as one of the premier interpreters of the songs of Stephen Sondheim, thrilling audiences with both her technical skill and her ability to mine a song for the depth and complexity of its emotions. She received a Kennedy Center Honor in 2011. Cook’s last meal was reportedly vanilla ice cream.